I feel I have pushed myself out of my comfort zone. And that hasn’t been easy. I have had to be a bit braver and take a leap of faith. I even confess that there have been few tears along the way! I hope to establish a rapport with the other artists and get to know the theories they’re interested in and the methodologies they use; it’s exciting to see the development of other people’s artwork and be able to discuss it with them and ask questions. For the future of arts? Death maybe? […] It’s no longer the case that materials make nice things, because those things now have meaning on their own. Art for art’s sake is dead, thank god. 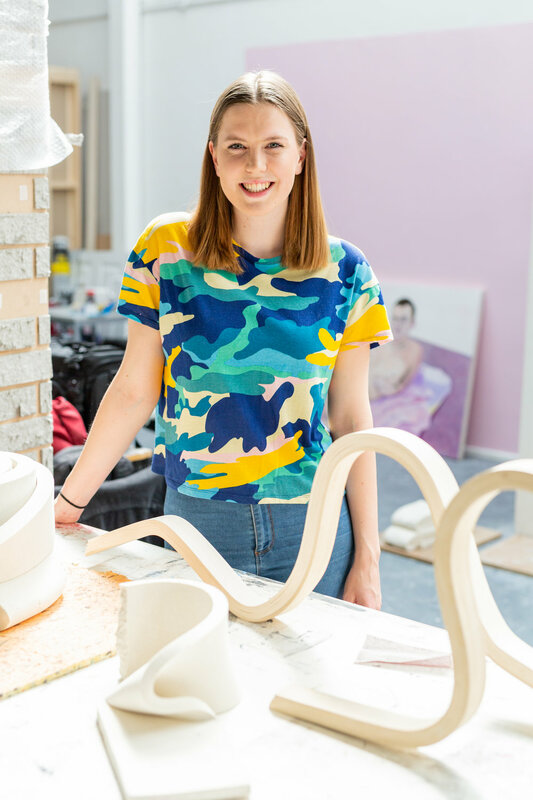 I’ve been in a few exhibitions since leaving University, I still am most proud of being 1 of 10 artists shortlisted for the Woon Prize this year. I think that if politics continue to be tense we will start to see a split of artists creating highly political work and work of the opposite nature. In harsher times we often see more absurdist work — something to escape the situation. I’m an utterly untrained dabbler, and I’ve been drawing ever since I burst forth from an NHS bed into England. Street art can shake and defamiliarize the environments we live in; like refreshing totems that break up routine and challenge the status quo. 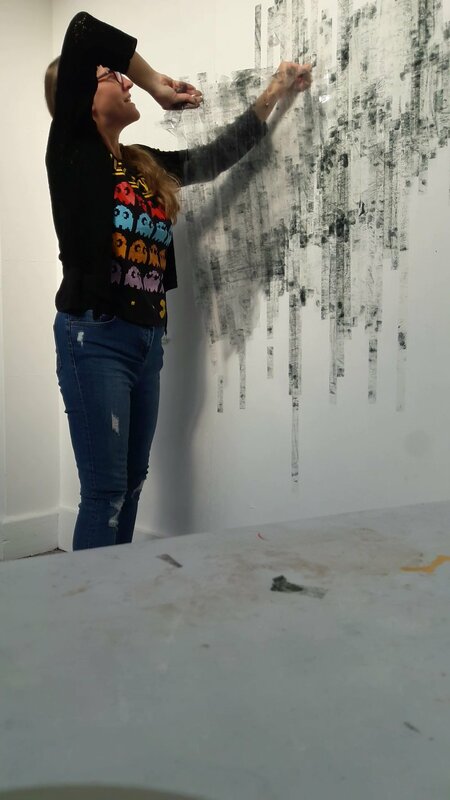 I’m a self-taught artist from the city of Nottingham, trying to stamp my mark on the world using political art as my weapon. Human beings will continue creating art regardless of funding and cuts to the arts. Making art is a human need. I feel like even today a painted portrait can give you so much more than a picture. It can bring light to your inner soul. We are evolution understanding itself better and better every day. I had a real struggle naming this week’s blog. I had planned to call it “Conceptual Portraiture” but then I realised not all the artworks I wanted to talk about are necessarily Conceptual. Still, there is something that made me put these artworks together, even if I struggle to articulate it. The link is obvious really; I’m saying they’re portraits but, like, where are the people? The portraits I’ve looked at in the rest of the blog series have all been images of people. But do portraits have to be representational likenesses of a person? Are there other ways to represent a person? These are some of the questions raised and explored in the works of Eleanor Antin, Robert Rauschenberg and Arman. Traditionally, the face and body have been central to portraiture, we’ve seen and discussed this again, and again, and again. But why? For centuries it was believed that your outer appearance reflected your inner self. An ugly exterior reflected an evil interior. This idea is everywhere in fairy tales (think ugly evil witches and beautiful princesses). But we know now that it’s rubbish. Our natural outer appearance is not related to our character, personality, skills and interests, the things that make us who we are (although it can be altered to represent these things, through clothing, make up and body modification). As our way of thinking about ourselves has evolved so has the way we represent ourselves. This is the idea, or concept, that Antin, Rauschenberg and Arman are all thinking about. 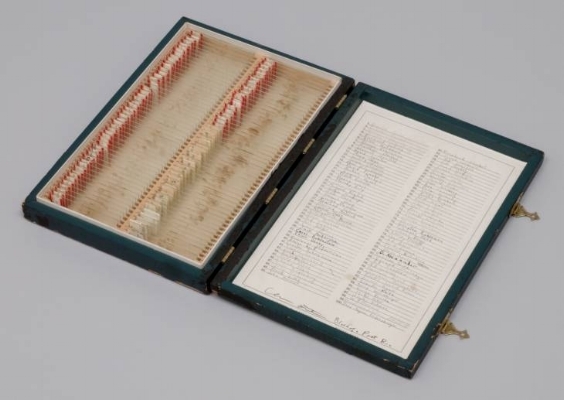 Eleanor Antin, Blood of a Poet Box, 1965-1968, Wood, cardboard, glass slides, blood, brass, paper and ink, 2.8 x 29 x 40.5 cm, Tate. Through, Blood of a Poet Box, 1965-1968 Antin explores ideas about biological uniqueness, creative talent and the similarities and differences between people. Antin filled a specimen box with 100 samples of blood from 100 poets she knew. The unique blood samples of each of the poets all appear the same when laid out in Antin’s box, you cannot differentiate one poet from another without reading the labels on the sample. As Jayne Wark remarks, Blood of a Poet Box reveals that “biology is neither identity nor destiny”. Every blood sample is different and yet also, visually, the same. Although blood may be unique, blood alone does not make us who we are. Robert Rauschenberg, Self-Portrait (For the New Yorker Profile), 1964, ink and graphite on paper, (30 x 23 cm). Robert Rauschenberg also explores the idea of biological uniqueness in his Self-Portrait (For the New Yorker Profile), 1964. 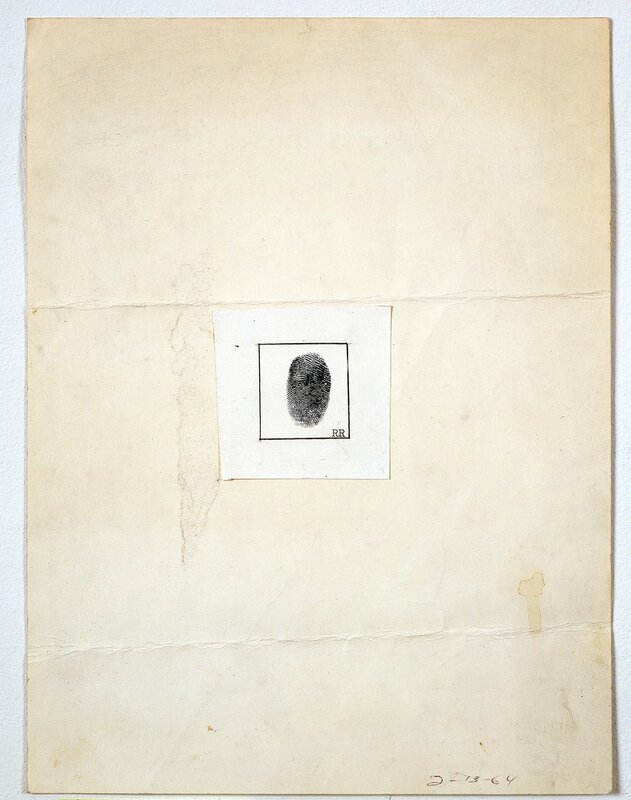 Rauschenberg was asked to send a self-portrait to accompany a New Yorker segment on him, instead he sent off his thumbprint. Although the fingerprint is unique to Rauschenberg, we cannot visually recognize it as a representation of him. Both Antin and Rauschenberg are exploring the idea of biological uniqueness. What they both demonstrate, is that our identities must be more than biological elements. And if this is true and our biologically unique attributes do not differentiate us from others, then what does make us individuals? And how can this be expressed in a portrait? Antin explores this in her series, “Portraits of Eight New York Women”, 1970. These portraits are made up of objects and text which Antin presents as representations of women she knew. These pieces are difficult to decode, as we do not personally know the subjects like Antin. Still, there’s no denying that the representation of Yvonne Rainer is completely different from that of Carolee Schneemann, so Antin must’ve been onto something. From these pieces we get a sense of the women’s individual personalities and interests. Eleanor Antin, Carolee Schneeman from “Portraits of Eight New York Women”, 1970, Mirror, jar of honey with honeycomb, easel, velvet throw, text panel. Eleanor Antin, Yvonne Rainer from “Portraits of Eight New York Women”, 1970, Exercise bike, basket, flowers, horn, sweatshirt, text panel. Arman also tried representing people through objects. His Portrait-robot d’Iris, 1960, is a portrait of the gallery owner Iris Clert, which represents her through her possessions. It’s like looking through someone’s bedroom, decoding who someone is through what they own. If Antin and Rauschenberg revealed that identities were not related to nature, then Arman suggests they have a lot more to do with nurture. Or, in other words, we have the power to build ourselves through possessions. Today, we can even construct our identities online through social media. Arman, Portrait-robot d’Iris, 1960, Personal effects of Mrs. Iris Clert in a box, City of Paris Museum of Modern Art. Arman was asked to make the portrait of Iris Clert for a group exhibition which also featured Robert Rauschenberg. Rauschenberg actually forgot to make his portrait, so he hastily sent off a telegram saying: “This is a Portrait of Iris Clert if I Say So”. This telegram is a fantastic example of Conceptual Art (and how artists can get away with anything if they’re famous). The telegram makes us consider the authority we give artists. Rauschenberg says the telegram is a portrait of Iris Clert and he’s an artist, so it must be. This reminds me of Titian’s Portrait of Isabella d’Este which looked nothing like her. Titian is an artist, so when he says this is a portrait of Isabella d’Este we believe him, even if he’s painted her 30 years younger than she actually was. I think Rauschenberg is poking fun at this sort of thing and seeing how much he can get away with (quite a lot apparently). Robert Rauschenberg, This is a Portrait of Iris Clert if I Say So, 1961, Telegram with envelope, 44.5 x 34.6 cm), Collection Ahrenberg, Vevey, Switzerland. Rauschenberg’s telegram also reveals a key problem still being explored today: can an object ever truly stand in for a person? Can art materials ever create a satisfying portrait? Is oil on canvas really any closer to a person than a telegram? Rauschenberg, Antin and Arman explored what portraiture was in the 20th century. But what, I hear you ask, is portraiture today? If you want to find out make sure you visit our exhibition Reflection. 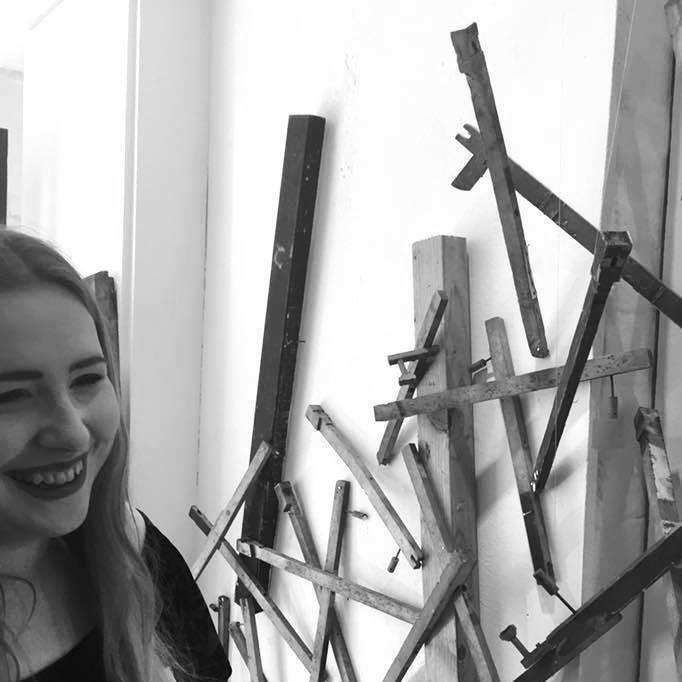 To find out more about the artists featured in the exhibition, have a read through Nathan T. Dean's interviews with the artists, so far he's spoken to David Hopkins, Sonja Benskin Mesher, and Milad Karamooz. I'll leave you with one final thought, can an interview be a portrait? Opening Night 13th April 2018, 6-9pm. Wark, Jayne. “Conceptual Art and Feminism: Martha Rosler, Adrian Piper, Eleanor Antin, and Martha Wilson.” Woman’s Art Journal 22, No. 1 (Spring – Summer 2001): 44-50. We shouldn’t let nobody prison our mind. The world of professional British portrait painting can be a bit airless – a stuffy room. Good to open some windows and doors. A few weeks ago, I made the distinction between selfies and self-portraiture, but I didn’t touch on self-portraiture itself. When I look at a self-portrait the first question that pops into my head is “why did the artist paint themselves?”. Paint is expensive, both then and now, so why do artists choose to paint themselves over more commercially popular subjects. There’s no one answer to this; the function of a self-portrait varies from artist to artist. Artists might make a self-portrait in order to practice, using themselves as models as they are to hand. They might make them as gifts to give to their patrons. There’s many other reasons, aside from the practical why an artist might depict themselves, but I’ll leave that for you to consider. Self-portraits are an important genre in the study of art history, as they show us how artists chose to present themselves. By looking at self-portraits made during different time periods we can see how the role of an artist changes in different societies. I find looking at the self-portraits of female Renaissance artists particularly interesting, as like Isabella d’Este from a few weeks ago; these women had to find a way to fashion themselves as virtuous women despite doing what was considered a man’s job. 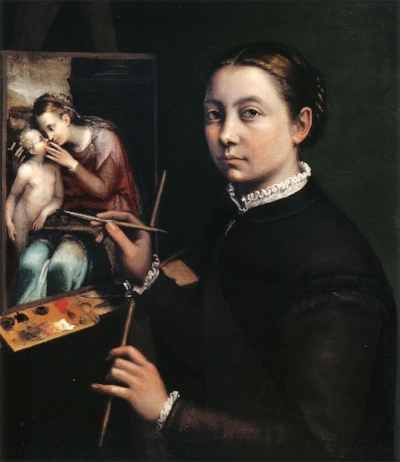 Sofonisba Anguissola, Self Portrait at the Easel Painting a Devotional Panel, 1556, oil on canvas, 66 x 57 cm, Łańcut Castle. Sofonisba Anguissola toes the line fantastically. Anguissola chose to include a painting of the Virgin Mary and Jesus in her self-portrait, a clear allusion to her piety and also a demonstration of her skill as a painter. She paints herself in action, asserting herself as a serious painter. Anguissola balances out these elements of self-promotion (definitely a masculine quality during the Renaissance) by dressing herself extremely modestly. She wears a black dress with no ornamentation and her hair is simply plaited into a bun. Compare this to the portraits of Isabella d’Este, painted around 20 years earlier, and you can see that Anguissola has presented herself far more modestly (modesty being a valued quality in women during the Renaissance). 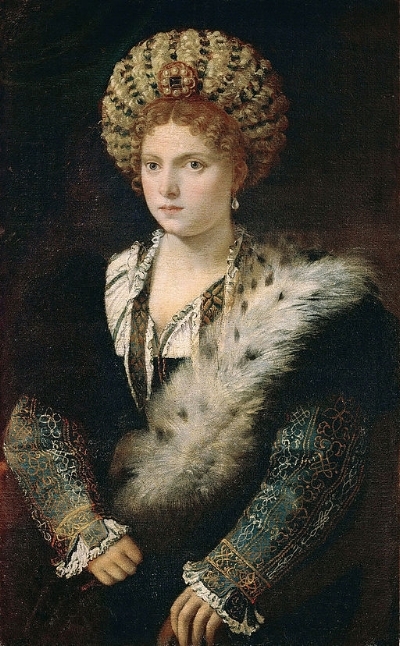 Titian, Portrait of Isabella d’Este, c.1534-1536, oil on canvas, 102 x 64 cm, Kunsthistorisches Museum. In comparison with Anguissola, Artemisia Gentileschi is more risqué in her self-depiction. I said earlier that Anguissola painted herself in action, but this is really nothing compared to Gentileschi, who paints herself stretching over the canvas with sleeves rolled up and dishevelled hair. Gentileschi’s self-portrait feels candid, like she has been caught mid-painting, while Anguissola’s feels posed and self-aware. Gentileschi titling the painting: Self-Portrait as the Allegory of Painting is a bold statement; Gentileschi is claiming to embody painting. Gentileschi’s clothing is far more ornate than Anguissola’s; perhaps this is a symbol of her success, showing off the wealth she has accumulated through selling paintings. 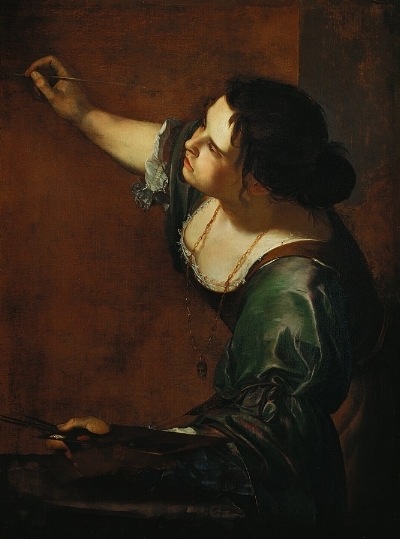 Artemisia Gentileschi, Self- Portrait as the Allegory of Painting (La Pittura), 1638-1639, oil on canvas, 98.6 x 75.2, Royal Collection (Currently on show at the Royal Academy in the Charles I: King and Collector exhibition). What I find fascinating about both images is that Anguissola and Gentileschi both chose to depict themselves as artists. They see their profession as key to their identities, more important than their more culturally accepted roles as wives and mothers. Their paintings are self-mythologising: Anguissola and Gentileschi are building their identities as artists through their self-portraits, even if these identities were not accepted as reality at the time. Would other male peers accept Gentileschi as the embodiment of painting? Perhaps not, but by painting herself as the allegory of painting Gentileschi tells us how she views herself and how she wants to be viewed by others. So, next time you look at a self-portrait, really consider what the artist is trying to tell you about themselves, what identity they are trying to fashion and what myth they are promoting.